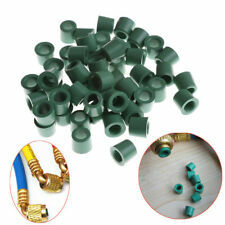 50pcs/set A/C 1/4" Charging Hose Manifold Repair Sealing O-ring Replacement A! It's really an ideal tool for recharging and recovering all types of refrigerants. 1 x Refrigerant Charging Scale. Kitchen, Dining & Bar. Bar Tools & Accessories. Three display modes: kgs, lbs and oz. It's really an ideal tool for recharging and recovering all types of refrigerants. 1 x Refrigerant Charging Scale. Facility Maintenance & Safety. If you do not receive our reply within 48 hours, pls. This tool can be used carefully to unblock pilot injectors on most gas appliances. Including boilers, fires and cookers. It's really an ideal tool for recharging and recovering all types of refrigerants. 1 x Refrigerant Charging Scale. Operation temperature: 32°F to 113°F (0°C to 45°C). Extra large LCD display with background lamp. Features:One of perfect products for your own car.Easy to read the readings and precise display.Built-in ball valve, easy to open and close.Rubber sheath to protect the pressure gauge from damage.Glass observation hole, at the user can observe the flow of the refrigerant.Description:A carry case for portable taken and so convenient.It is a diagnostic and service gauge set for using on air conditioning systemsEasy to use and to op. For sale are my Refco Digimon 3 Plus Digital Manifold Set complete with instruction booklet, temperature probe and carry case. The gauge set has never been used. As you'll see from the images the manifold is in as new condition however, it may show signs of handling. Copper Tube Expander Set 3/8" - 1 1/8"
Copper Tube Expander Set includes 6 imperial heads and deburrer. 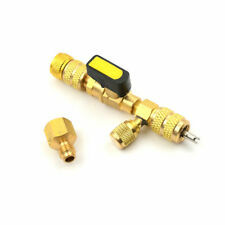 Analogue deep Vacuum Gauge with a Brass Tee Adaptor to Vacuum Pump Port or Manifold Gauge Hose Connector: 1/4 SAE Flare NPT. Ideal to attach directly to your vacuum pump or manifold gauge. Digital Vacum Gauge VG64 Supco. Condition is Used. Dispatched with Royal Mail 2nd Class. Works but no manual. honestly used once, but i never pursued being an ac engineer. Wear resistance, corrosion resistance. AC A/C System O-ring kit gasket seals washer oring seal repair kit. Color:Dark Green. Air conditioning seal repair kit. A/C AC HVAC O-ring seal kit O-rings seals rubber rings. Anton ATM200 Differential Temperature Kit 2. AS1/HDH Surface Temperature Probe. Features of Kit 2 Flexible Wire Air Probe. Type K Probe Connection(S). AS10/Clamp Pipe Probes (Up To 28mm). Twin torch burners with durable nickel-plated brass valve body. Fits both propane and MAP/Pro gas cylinders. 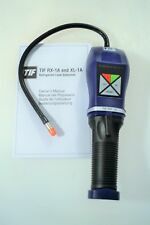 1/4" and 5/16" SCHRADER Valve Core Remover Installer Tool for R32 R410. After confirming that the wrench is fastened to the air conditioning valve, open the valve of the disassembly wrench, push the valve stem into the air conditioning valve, rotate the end knob of the wrench, find the valve clamping angle, and then loosen the valve core. Connectors: 1/4" male SAE x 5/16" female SAE with valve core depressor. SAE female nut with depressor to connect to R-410a mini split units. R410a low-side, mini-split, A/C low-loss fitting. Perfect for R410a import mini split system air conditioners. It's really an ideal tool for recharging and recovering all types of refrigerants. 1 x Refrigerant Charging Scale. High accuracy and resolution. Resolution: 5g / 0.010lb / 0.25oz. Size: Approx. Weight: 3839g. It's really an ideal tool for recharging and recovering all types of refrigerants. 1 x Refrigerant Charging Scale. Operation temperature: 32°F to 113°F (0°C to 45°C). If you do not receive our reply within 48 hours, pls. High capacity: 220lbs. Capacity: 220lbs. It's really an ideal tool for recharging and recovering all types of refrigerants. 1 x Refrigerant Charging Scale. 1 x Heavy-duty Carrying Case. Extra large LCD display with background lamp. On many refrigeration and air conditioning systems to allow servicing, including recharging with refrigerant. 10 Service/Access Valve 1/4" SAE x 1/4" OD x 4" longer stem, Core & Core Remover. 10 X Valve stem 1/4" SAE x 1/4" O.D. x 4" stem. Ideal forR22 R134a R410A. 1 ×R134a Can Tap. 2-valve manifold withSight-glass & 1/4" SAE fittings. High-quality stainless-steel gauge with high accurate reading. 1 ×Gauge Set. Oversized sight-glass for easy viewing the refrigerant flow. 1 x Tester. Pressure Test: Gauge pressure. Temperature test unit: celcius, Fahrenheit. Resolution: 1Kpa. Resolution: 0.1°F(-40~99.9 °C), 1 °F ( 100~302°F) 0.1° C (-40~99 °C), 1 °C ( 100~150°C). Our goal is. CPS PRO-SET Refrigerant Recovery Machine 240v. Condition is New. No box.Cash on collection. High capacity: 220lbs. Capacity: 220lbs. It's really an ideal tool for recharging and recovering all types of refrigerants. 1 x Refrigerant Charging Scale. Size: Approx. 1 x Heavy-duty Carrying Case. High capacity: 220lbs. Capacity: 220lbs. It's really an ideal tool for recharging and recovering all types of refrigerants. 1 x Refrigerant Charging Scale. If you do not receive our reply within 48 hours, pls. Selection between Celsius, Fahrenheit and Kelvin. Thermocouple sensor specifications Clamp jaw opening: 1-3/8" (3.5cm). 2 x K type Thermocouple sensors/ wires. Pipe clamp Specifications Dual temperature monitoring T1/T2. It's really an ideal tool for recharging and recovering all types of refrigerants. 1 x Refrigerant Charging Scale. UK Warehouse. Other Sound&Vision. Three display modes: kgs, lbs and oz. 1 x Heavy-duty Carrying Case. BETTER THAN HALF PRICE! BM2-3-DS-SUPER (9883537). Elm Genesis Hand Held Set Up Unit 190795 USED BUT GOOD CONDITION. Conex Banninger B-PRESS MAXIPRO 90-DEGREE ELBOW 3Pcs Copper-1/2". MaxiPro is an all new press fitting that provides a secure, permanent leak-proof joint that's suitable for air con and refrigeration applications. 110v Used Promax RG5410EX refrigerant Recovery Machines in used condition. This R134a Manifold Gauge Set includeshigh pressure & low pressure color-coded dual gauges, large and clear dials, high/low pressure adapters and three 1.5m charging hoses. 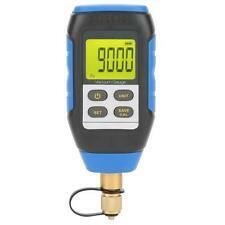 With this manifold gauges, you can testing, charging and evacuating air conditioning system easily and safely. Connects R12 Hose to R134A refrigerant tank. 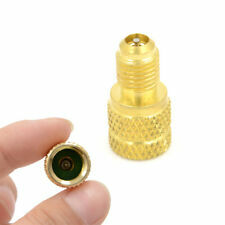 1pc x brass adapter. Material: brass. Length: approx.30mm. LOCKRING TOOL - 8mm 5/16 JAWS. 2 x LOCKRING DRIERS FRG 5025. 2 x LOCKRING DRIERS FRG 5243. Lockring Tool used condition - all fittings new/unused. All in carry case. 10 x ALUMINIUM 6NK to 6NK STRAIGHT COUPLINGS. Vacuum unit: Torr, mmHg, Micron,%. 1 x Pressure Vacuum Gauge(not included). 2 x Valve digital manifolds. Sensor: Two pressure sensors, Two temperature sensors. Temperature unit: ℉,℃. Applicable temperature -20 ℃~60℃. 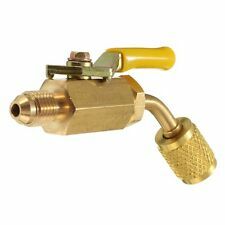 Copper Pipe Tube Expander Air Conditioner Install Repair Hand Expanding Tool !